Irish artist working on large public mural, exhibitions and promoting positive mental health. 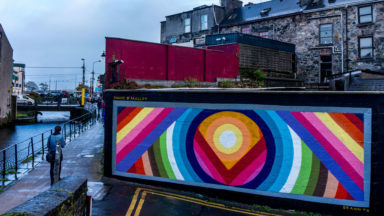 Shane O’Malley is among a leading group of contemporary artists who have emerged from Ireland’s vibrant graffiti subculture, to work in the mediums of paint, murals and art installations. 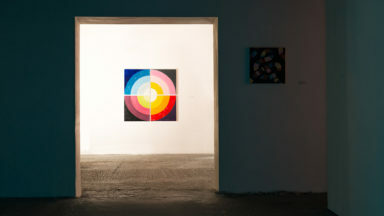 Originally from Navan, Shane now resides in Galway city and has exhibited and painted nationally and internationally. He is interested in the themes of identity, mental and emotional health, journey and self-hood. 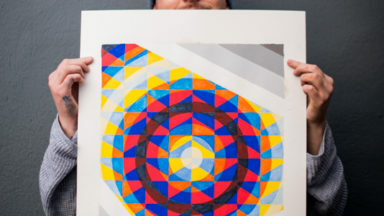 He has developed a unique visual language using bold colour and simple geometric shapes to communicate challenging concepts.